If you’ve ever used the Facebook app or even other apps like Dolphin you might be wondering how to make the draw style menu that slides out from the side. There is a sample project that shows you how to create similar functionality in Delphi XE5 Firemonkey using two TLayouts and a TAnimateFloat. There is a blog entry that describes the code and then the full demo project is available from github. It even has multiple layout functionality depending on whether it is being run on a phone or a tablet (in this case an iPhone or iPad). You should be able to easily modify it to take Android into account if it doesn’t work already. 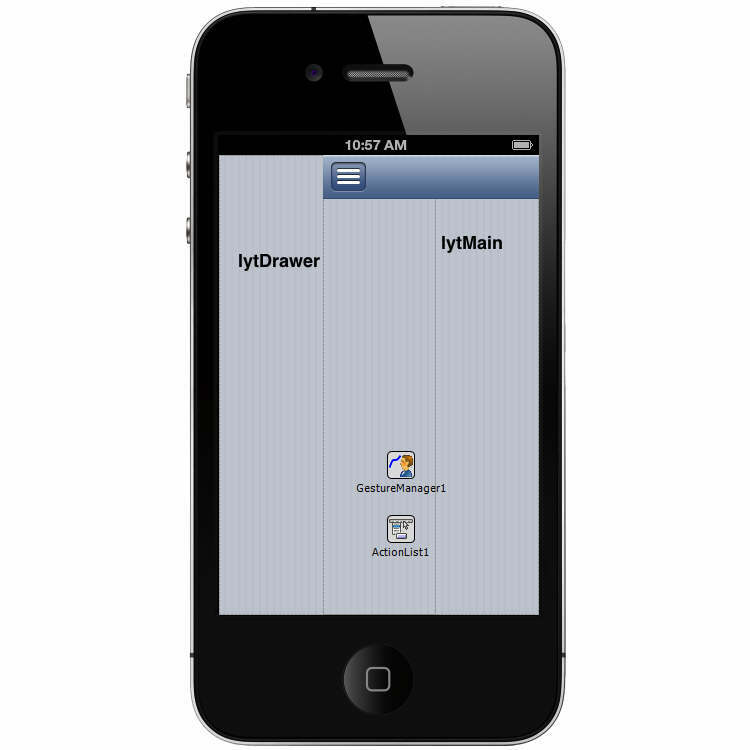 The drawer functionality gives you double and triple the screen real estate easily on a mobile device. Update: There is also another blog post that turns this idea into a unit class which you can re-use across projects. Check out the blog post that explains it. And then download the demo off github.